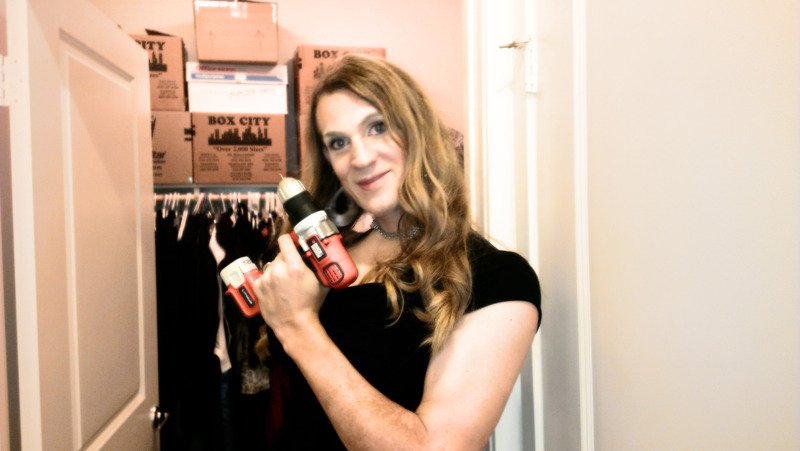 Today, I am talking about the real closet, the one where you hang your clothes. The problem is that I have a too many clothes (SURPRISE!). The solution to this was that we bought a bigger brand-new condo with a giant walk-in closet, something both my wife and I could agree on. Eventually though the glow of newness starts to fade and you realize houses need maintenance. In this case, it took 9 months until even the new bigger shelves were starting to collapse under the weight of fashion. This also happened at our last rental, but this is OUR place. This will not stand (particularly if I don’t replace these screws)!! So I’m off to Home Depot.